Ramp up your fall home decor this year with this versatile Autumn Falling Leaves throw! The free Autumn Falling Leaves download pattern is available from our fabric website. The layout shown in these pictures and described in the tutorial is approximately 54" x 54". 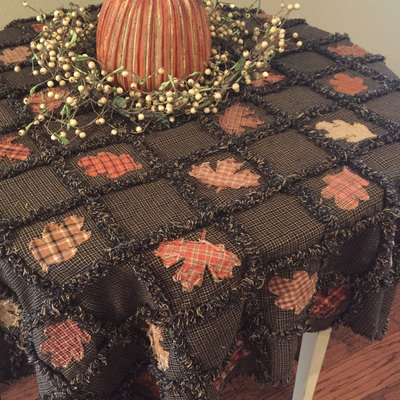 It can be used as a light weight couch throw for those cool fall evenings or as a festive holiday tablecloth. The instructions are for a self-lined throw without batting but additional notes are included if you wish to use batting and make it heavier. This pattern is also super easy to enlarge by adding more rows in either direction. In the sample images shown here, we used Antique Black Homespun Fabric and the Autumn Leaves cutouts available from Jubilee Fabric. 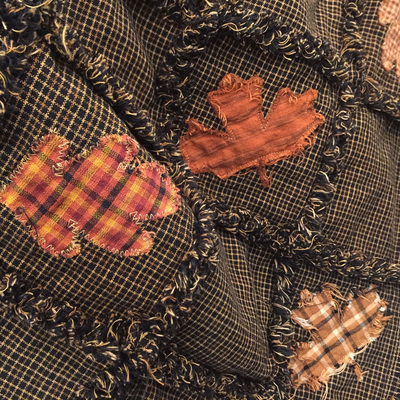 If you have autumn color homespun scraps, you can easily cut out your own random color/shape leaves instead of using the pre-cut shapes. 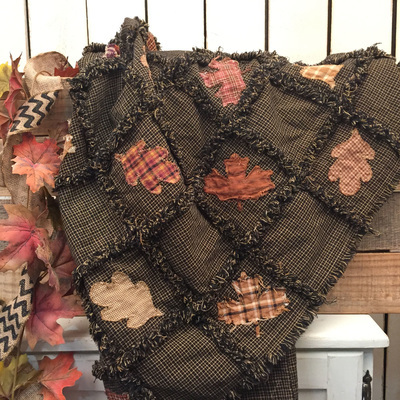 Are you thinking of doing this warm, festive throw for your autumn or Thanksgiving holiday decor this year? If so, we'd LOVE to see which colors you choose and how you are displaying it in your home. If you have pictures that we could share on Facebook, please send them to us via our Facebook page or through the Contact Us link at the left. You can also text pictures to 479-549-5828. 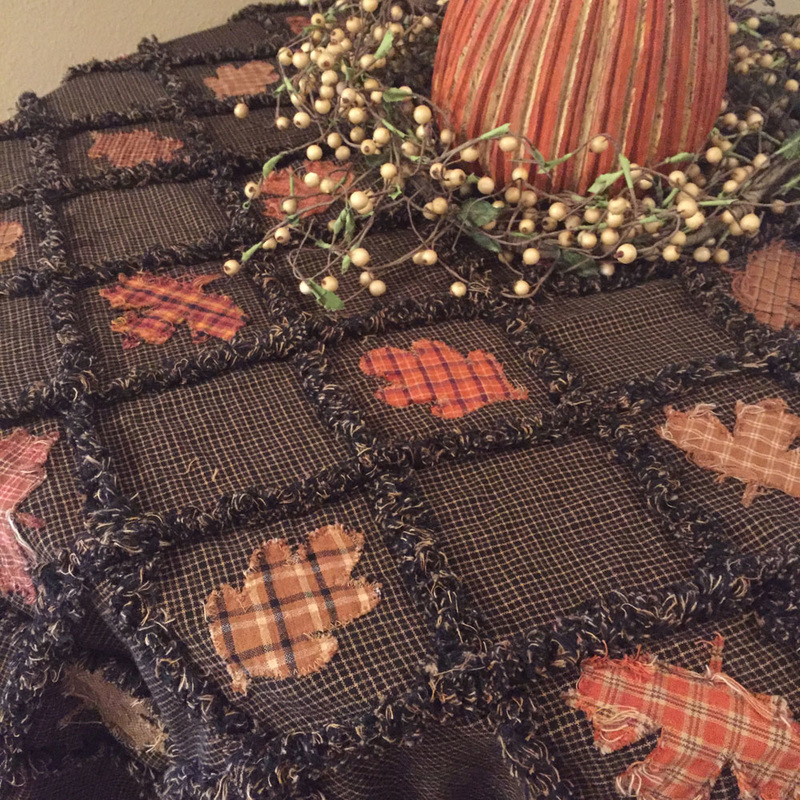 Download the free Autumn Falling Leaves digital pattern now.